A skating party is the perfect way to add some fun in your celebration. From popcorn to rope licorice, grab your skates and plan your memorable birthday party today. Here are some great roller skating party invitation wording ideas that are perfect for personalizing your event. Cake, ice cream, and rollerblading. Come join us for (name and age) birthday. Come roll with us for disco skating party as we celebrate (name and age) birthday. Come skate the day away to celebration (name) birthday. Get your skate on at (name and age) birthday party. Grab your skates and head this way to celebrate (name and age) birthday. Have fun and skate the day away. join the celebration because its (name) birthday. It’s a party! Grab some wheels. Come and skate (date). It’s party time. (name) is turning (age). Please join us to celebrate with a skating party. Roll out your blades and get ready to have loads of fun. It’s (name) birthday. Save the date, grab your skates, come to the party and help celebrate. 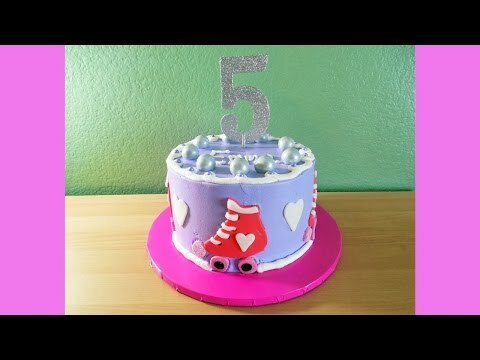 Here is a look at how to decorate your roller skating party birthday cake to make your event even more special than you intended.